6.1 Do you have more tips for things to do in New Zealand? Let us know about the best places to visit in New Zealand and share your recommendations with us. Have you ever wondered what you can do in New Zealand? 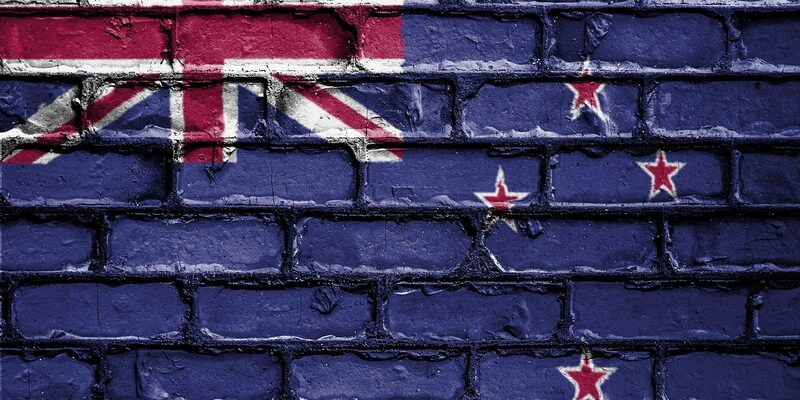 Compared to Australia, New Zealand´s bigger neighbor, New Zealand still seems to be a hidden gem and while it is known for having an extremely stunning scenery I admit, I was not sure what the to do in New Zealand. 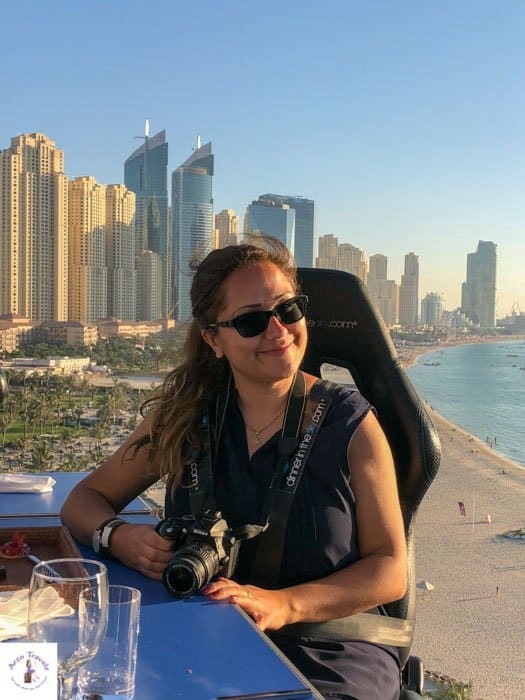 So, I asked fellow travel bloggers to share their recommendations for the best things to do in New Zealand and here are their recommendations when visiting New Zealand. Kaikoura is on the east coast of New Zealand’s south island. It’s a stunning place to visit, with roaming hills and beautiful coastal walks. However, one unique thing about Kaikoura is the ocean. There is a deep canyon that reaches very close to the mainland. Not normally something you would find unless you are much further out at sea. The canyon attracts all types of marine life including dolphins and whales. 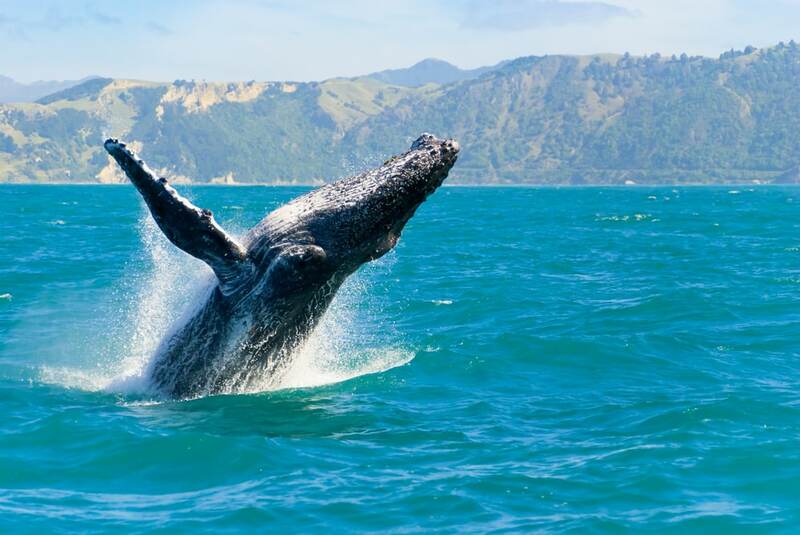 And means Kaikoura is a wonderful place to visit if you love wildlife. There are two options for seeing whales, one is taking a boat trip and the second is doing a whale watching flight. During my trip to New Zealand, I opted for the flight. I suffer from sea sickness so this seemed a better option for me. The experience was absolutely amazing, I loved the perspective seeing the whale surfacing the water. And then the flick of their tail as they dive back down. I was even lucky enough to see a pod of dolphins swimming and jumping out of the water. Not only do you have a great view of the whales. But the 30-minute flight gives you a scenic tour of the backdrop of hills and mountains of Kaikoura. It really is breathtaking and creates a magical memory of my time in New Zealand. Abel Tasman National Park is one of New Zealand’s premiere parks. It’s located at the top of the south island and surrounded by chill, quaint little towns, the largest being Nelson at 66,000 people. With beautiful rolling hills reminiscent of Tuscany, there are a ton of things to do while in the Abel Tasman area. And if you do nothing else while in the Abel Tasman area, you must highly consider kayaking in Golden Bay. Even if you’ve never kayaked before, the sights, sounds, and sea life you’ll experience while kayaking makes it well worth the price of admission. The outfitter we went with provided a well-informed guide who had a great sense of humor and a tasty lunch. He showed us all the basics of kayaking and answered all of our Golden Bay-related questions. It was an all day experience and we were having so much fun it seemed to be over before it even began. The sandy beaches of Golden Bay are remarkable for their cleanliness and picturesque photo opportunities. You’ll undoubtedly kayak past seals and maybe even orcas, all while learning the natural and human history of the area. And when you’re done kayaking you can hike through the park to your heart’s content. 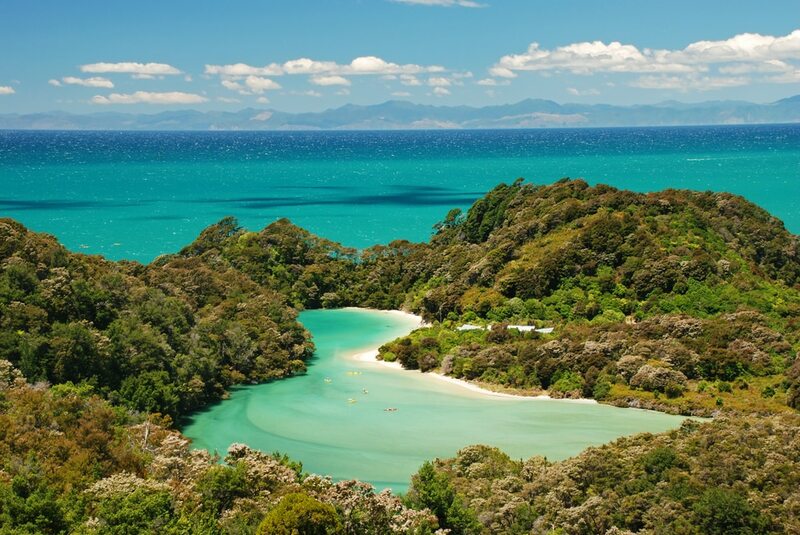 Abel Tasman park is the total package for those who love outdoor activities. Queenstown is known as the adventure capital of the world and for good reason. Set on the beautiful Lake Wakatipu, Queenstown offers all kinds of activities for the thrill-seekers among us. Start slowly by climbing Queenstown Hill and sit in the Basket of Dreams while looking out over the lake. Then, gain courage by riding the Skyline Gondola and racing your friends on the gravity-powered luges. They may look mild, but I definitely caught some air on a few passes! Think you’re brave? AJ Hackett in Queenstown offers three bungee jumps to the most daring adrenaline junkies. After you’re done with the luge, walk over to the Ledge Bungy, where you can freestyle your way off the platform. I did a double front flip… how will you jump? Kawarau Bridge is the world’s first commercial bungy jump and offers an opportunity to touch the water below. And if you’re really crazy, sign up for The Nevis, the Southern Hemisphere’s tallest bungy! 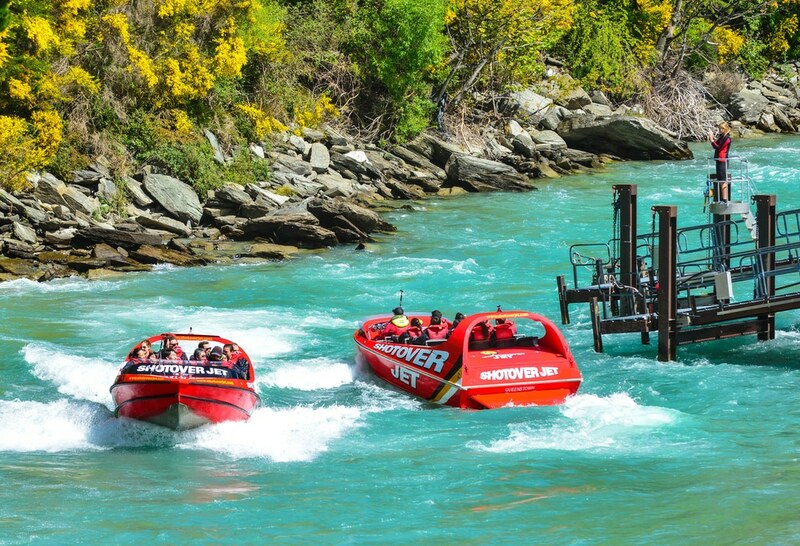 If that’s not enough, there’s always the jet boat ride on the Shotover River with Skipper Canyon Jet, where your driver careens through the canyons in centimeters of water. 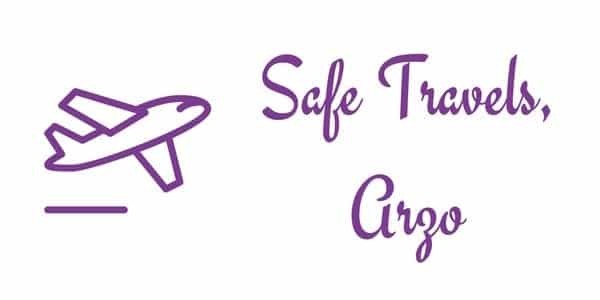 And hang gliding and paragliding are options for the high-flying daredevils. One thing is for certain… you’ll never be bored in Queenstown! Accommodation: The Butterfli Lodge Hostel has great views of the lake and a nice community feeling. It’s a bunk bed-free hostel, so you don’t need to worry about creaky beds! Be sure to get a BBH membership for $4 off your stay each night. As a Lord of the Rings fan, I couldn’t skip on a tour around one of the most magical sets in New Zealand: Hobbiton. The drive there took us on windy roads and green hills, reminding us of the picturesque landscape of the Shire. Hobbiton was initially built for the Lord of the Rings movies and demolished after filming was finished. The set was rebuilt with more durable material for the Hobbit movies and is now the only set remaining in New Zealand. I loved walking around the enormous set. 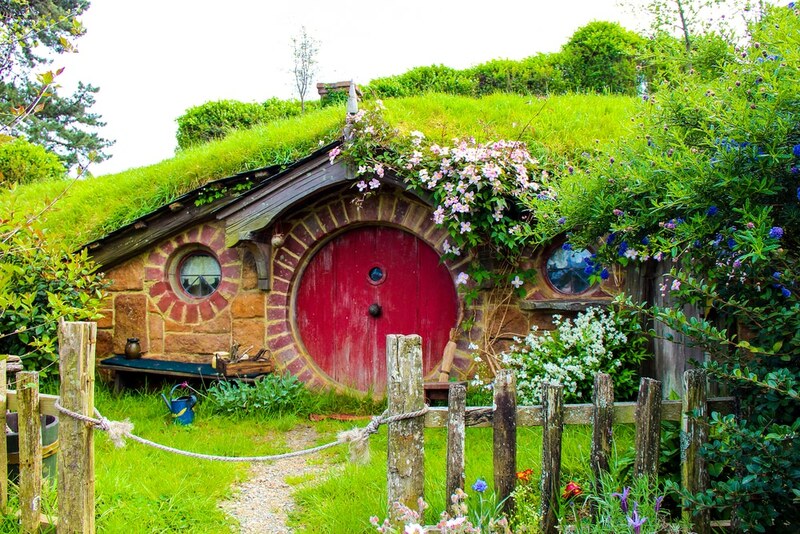 44 colorful hobbit holes are dotted around the hills, with immaculately maintained gardens throughout the village. It was easy to imagine myself being in Middle Earth, wandering the paths and expecting a hobbit to come out of one of the holes at any time. At the end of the tour, we were treated to a complimentary ale, cider or ginger beer, brewed exclusively for Hobbiton, at the Green Dragon Inn. The Inn has been constructed in true Hobbit style, with wooden features throughout. We enjoyed our drink outside in the garden, overlooking the mill on the lake with Hobbiton in front of us. Even if you’re not a Lord of the Rings fan, you’ll still love exploring this little piece of movie magic. Apart from day tours, you can also explore the Shire at dusk, which includes a banquet at the Dragon Inn. Indulge in traditional Hobbit fayre before wandering the paths of the village with glowing lanterns. Visiting Hobbiton is easy from Hamilton or Rotorua. Rotorua is a geothermal paradise, and only 1 hour away from Hobbiton. You can book a tour from Rotorua, but I would suggest a self-drive to the set. Make sure to buy your tickets well in advance, as Hobbiton is very popular! Mount Maunganui, nicknamed, ‘The Mount’ is a chilled out beach town right by the larger city, Tauranga. The Mount is a popular destination for anyone on their kiwi road trip for good reason. The beaches in and around the area are some of the best in the North Island, but you have to climb the hill overlooking The Mount. 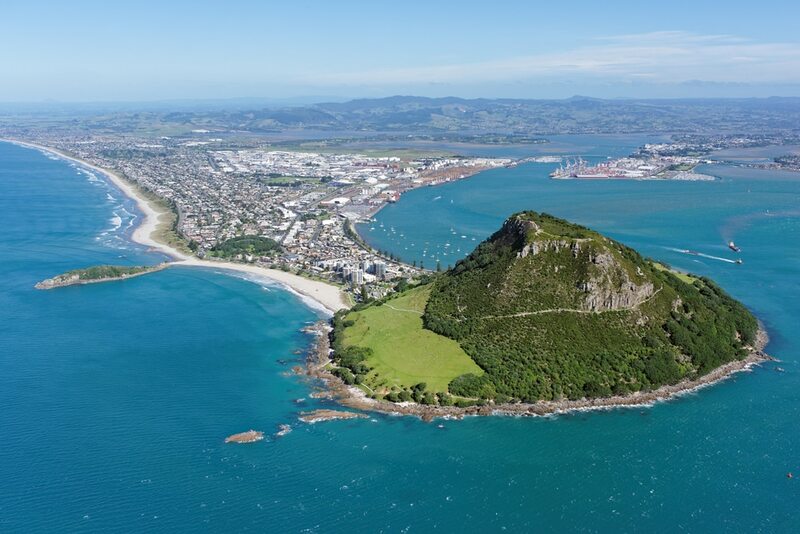 Just to confuse you more, the hill is also called Mount Maunganui. Don’t let the name intimidate you, it’s only 230 metres in elevation. The hill comes complete with sheep grazing about. There are a few different routes you can take, as you seek out views in all directions. The view from the top is still the best, as you overlook the relaxed town lining the beach and on a nice day you can see way down the coastline. There are a lot of accommodation options, but as it’s considered the gateway to the Coromandel, you might find yourself passing through the area. If you want to ‘tick’ off Mount Maunganui on your todo list, walking up to the hill is one thing you must do. The walk is suitable for all fitness levels and can be accomplished anywhere from 45 – 90 minutes return. Wellington is a city that is often overlooked by tourists who visit New Zealand but as a resident of the aptly named ‘coolest little capitol’, I have to say its worth to be discovered. 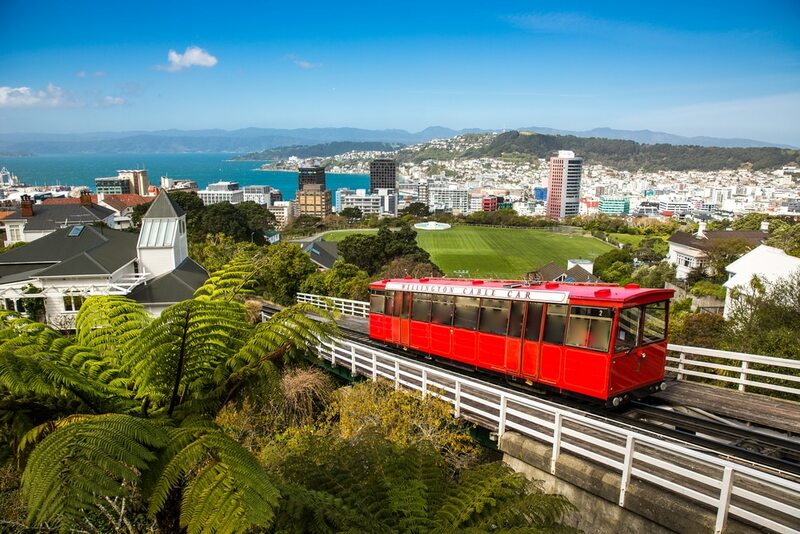 Wellington is the southernmost city in the North Island and also where you catch the ferry to the South Island. You can also take the cable car up to the botanic gardens for views overlooking the harbor and walk through the gardens on the way down. There is also a green belt going through the city which means there is lots of nature reserves to go for hikes or parks you can walk through. Walking around Wellington you will notice a lot of street art and sculptures – we even have one that measures the wind! Yes, it is called Windy Wellington for a reason but they also say you can’t beat Wellington on a good day. It’s only a short boat ride from the center of New Zealand’s biggest city, Auckland, but Waiheke Island might as well be at the opposite end of the country. 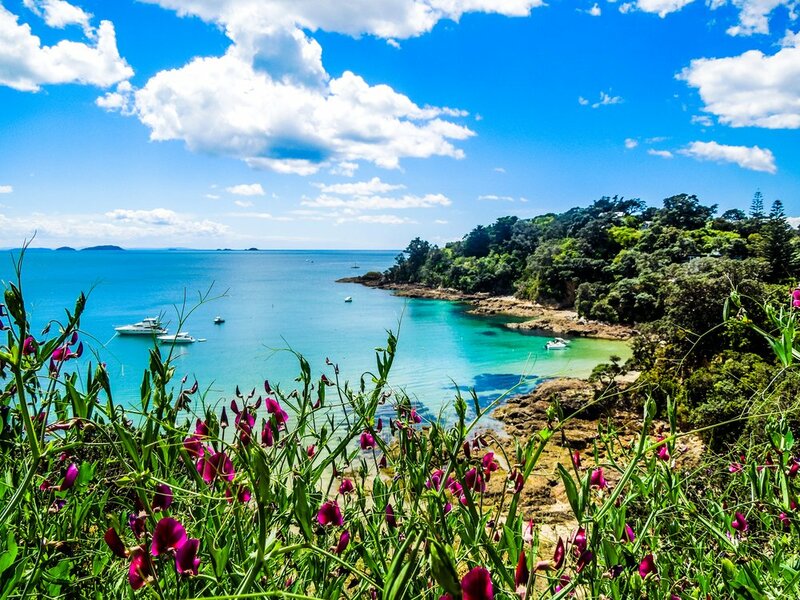 Whether you’re visiting for a day trip or a long weekend getaway, Waiheke is the perfect respite from the bustling city. Famous most of all for an abundance of wineries (there are about 30 scattered across the 36-square mile island), there is much more to Waiheke than its status as a foodie haven. An excellent base for exploring the Hauraki Gulf, you’ll find everything from ziplining to fishing, kayaking and of course sailing. Beautiful, uncrowded beaches, boutique shopping, and a thriving arts community ensure that this little slice of paradise is always hitting the “world’s best” lists. How to get to Waiheke Island: Fullers Ferrys run a regular passenger service from Downtown Auckland 7-days a week, or if you want to self-drive Sealink run a car ferry from Halfmoon Bay (East Auckland). Both trips take approximately 40 minutes. You can travel by foot on the Sealink ferry if you like, but be aware that there is no public transport from that wharf and it’s a long walk to the main road! Timetables can change between seasons so it’s best to check regularly. Where to stay at on Waiheke Island: There are only a few hotels/resorts on Waiheke, so your best bet for accommodation is Airbnb. You’ll need to book well in advance over the summer months, and in particular, Christmas/New Years. If you are visiting New Zealand there are so many great things to do. One of those must-do activities is Ocean Kayaking in the Coromandel Peninsula. The Coromandel Peninsula is only 2 1/2 hours by car from Auckland which makes it the perfect day trip or longer stay. If you are unfamiliar with the area and ocean kayaking it is recommended to take a tour. The tours generally start and end at Hahei Beach and depending on your endurance they can be a whole or half day. 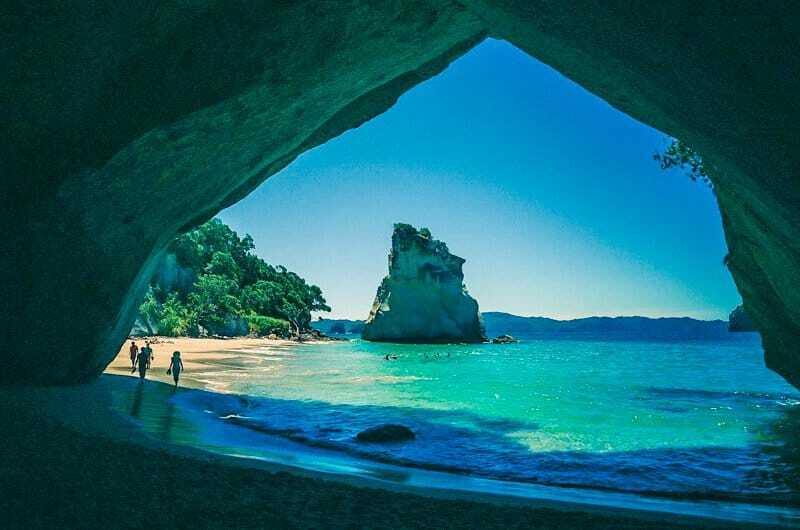 I would highly suggest doing the half day tour to Cathedral Cove (Te Whanganui-A-Hei in Maori) to get a great taste of the area and ocean kayaking. With the tour to Cathedral Cove you will row over to the beautiful cove which is a beautiful and picturesque location. The cove has a bunch of beautiful rock formations around it and the famous tunnel that is in oh so many photos. The stunning blue waters and the grandiose rock formations make the trip out there more than worth it. On the return to Hahei Beach you will explore some more of the beautiful rock formations in the area as you row past them, giving you a personal look at the stunning features. You are sure to be tired by the time you return to your launch point but a day spent in the sun with salt in your hair and the beautiful pacific ocean around you is well worth it! Not only is Wanaka one of the most picturesque towns in the country, it’s a nature lover’s dream. 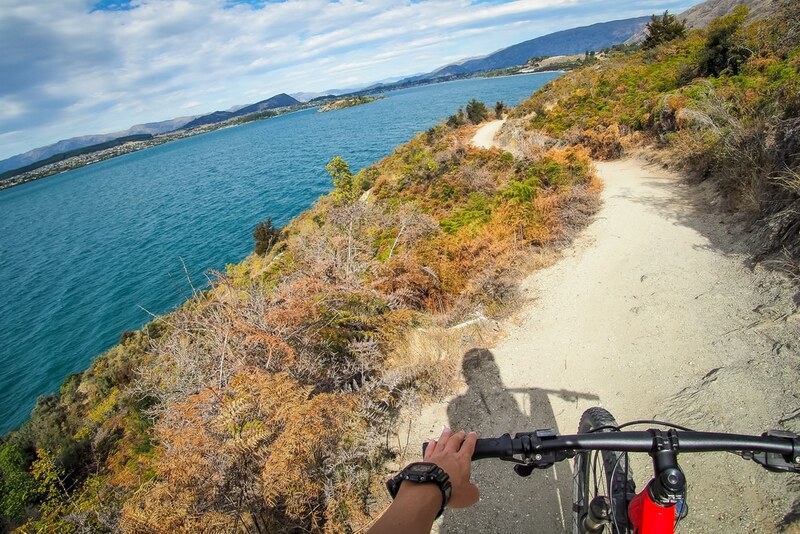 While there are plenty of hiking and adventure sports to partake in within this South Island resort town, cycling around the gorgeous trails was by far my favorite. The trails range in terrain; the scenery varies from lakeside to alpine to beachfront. Quite a few of the hotels and hostels in town offer bike rental options; we stayed at the centrally-located Flying Kiwi, which offered it for free! My personal favorite trail to cycle around was the Upper Clutha River Track. It’s impossible not to feel grateful while one is surrounded by emerald-hued water and the Southern Alps. This track was a personal favorite as it extends into the Newcastle Track. We spent another afternoon cycling along the Outlet Track, which was an incredible experience as the golden autumn leaves brightened the way. The various trails lead to some seriously beautiful spots in town. Don’t forget to skip the Mount Iron track – you can park and lock your bike and hike up to the summit. Another trail to prioritize is the Waterfall Creek trail – be sure to walk up the hill to Rippon Valley Vineyard for some epic views! 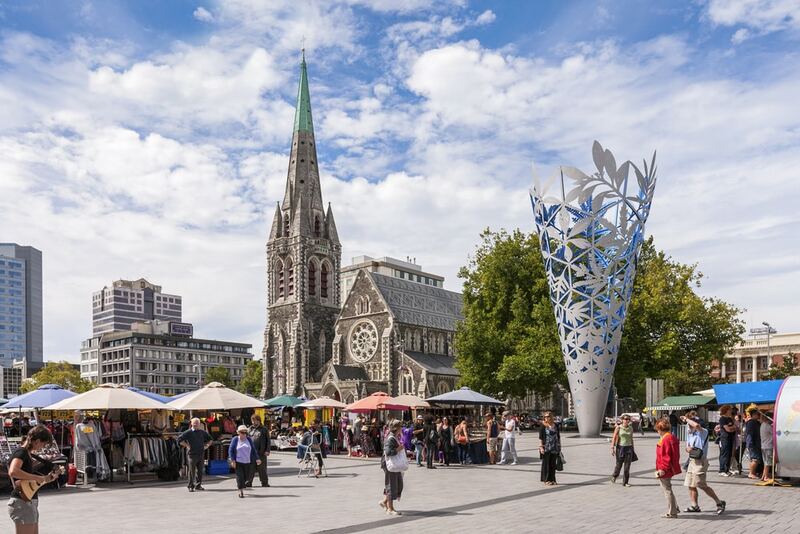 If you’re headed to Christchurch you need to visit the CBD in the center of town. Christchurch was hit by a massive earthquake in 2011 and has spent the subsequent years rebuilding. Depending on when you visit, most of the construction may be finished, but as of 2017 they still have a way to go. Because of the earthquake, many buildings were razed, including a significant shopping district. So in response, vendors have relocated to a shopping mall, made entirely out of shipping containers. It’s a clever and modern way to go about continuing to sell. The 185 Empty White Chairs are not to be missed. It’s a moving, stark reminder of the loss on that fateful day, and depending on when you go, the Christchurch Cathedral may or may not be repaired. As of 2017 is stands half destroyed. To get a better understanding of the earthquake and its effects, visit Quake City, also in CBD. There are plenty of undamaged areas to visit, too. Two highlights are the Cardboard Cathedral and the New Regent Street shopping area. Both are unique architecture and great photo opportunities. If you need a moment to get away from the traffic and hustle of the city, you must visit the Botanic Garden. It is massive and contains gorgeous rose gardens. And if you’re looking to double up on your green zone experience, walk along the Avon River and see the memorial to those who perished in the earthquake. Both parks are right in the CBD. New Zealand has some of the most amazing coastlines in the world, which makes this place a mini heaven for surfers. There are all types of swells and breaks, and even some of the best beaches are uncrowded or even empty on some days. If you’re in Auckland, both Piha Beach and Muriwai Beach on the west coast offer great waves during the summer. Raglan is a world famous spot further down the country, some of the gnarliest waves in the Pacific, but recommended only if you’re a seasoned surfie. Surf Highway 45 in Taranaki is pumping with good waves – probably the best place in NZ for a surfer road trip. 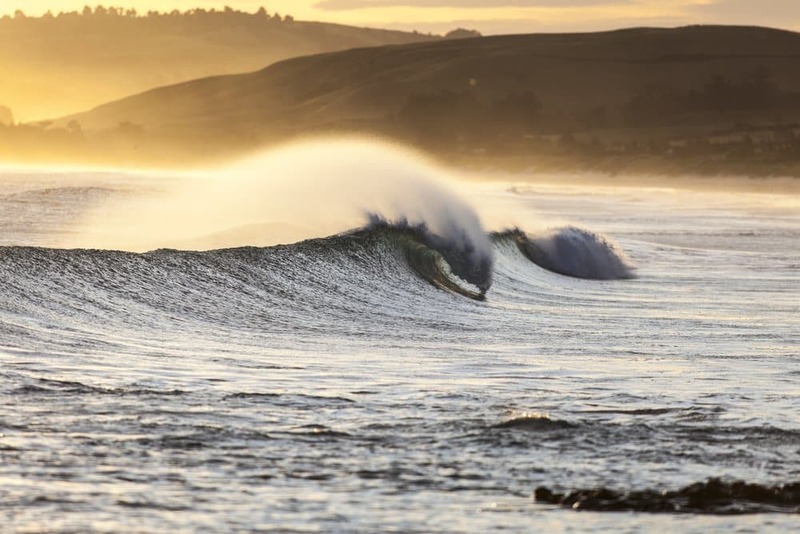 But even way down in Dunedin, New Zealand’s southern tip, you’ll still find some pretty epic swell. If you’re a newbie and want lessons, fear not, New Zealand takes water safety very seriously and there is no shortage of good, regulated surf schools throughout the country. Just suit up and have fun! Do you have more tips for things to do in New Zealand? Let us know about the best places to visit in New Zealand and share your recommendations with us.